BHALLA (Sheetal), SINGH (Nawal) and SENAPATI (S K). News paper clippings at CBRI Library. Seminar on Role of Information and Communication Technology in Library Science. Roorkee, 2009. B.S.M. (P.G.) College, Roorkee. 2009. Pp. 75-78. SENAPATI (S K). Journal of Wind and Engineering: A bibliometric JW&E. 7, 2 ; 2010. 49-54. SENAPATI (S K) and JAGTAR SINGH. Mapping of cement research in India: A scientometric study. Indian Journal of Information, Library & Society. 23,1-2; 2010. 85-95. SENAPATI (Susanta Kumar). Knowledge resource sharing among the building research institutes at a global level. International Research Journal of Library & Information Science. 3,3; 2013. 448-458. (www.irjlis.com . ISSN:2149-0213). SENAPATI (Susanta Kumar). How to write a technical paper: A Library Herald. 53.3; 2015. 293-300. सेनापति, सुशांत कुमार एवं शरद कुमार. पुस्तकालय सामग्रियों का विकास, संरक्षण एवं उपयोग : ब्रिक से क्लिक तक. निर्माणिका 2015. 58-61. कर्माकर, दीप्ति एवं सेनापति, सुशांत कुमार. सी. एस. आई. आर – सी. बी. आर. आई: सांस्थानिक ज्ञान भण्डारण. निर्माणिका 2016. 42-45. SENAPATI (S K). Slide management: A practical approach. CLIS Observer. 9, 1- 2; 1992. 33-38. SENAPATI (SK). Computerization of the documentation activities in conservation laboratories: A challenging task. Conservation of Cultural Property in India 25; 1992. 93-98. SENAPATI (S K). Education in preservation and conservation of library materials in India. ILA Bulletin. 29, 1-2; 1993. 39-44. SENAPATI (S K). Conservation of Cultural Property in India : An overview. Conservation of Cultural Property in India. 27, 1994. 166-72. SENAPATI (S K). Growth and development of National Museum library as a model library in India. ILA Bulletin. 30, 1-2; 1994. 25-30. SENAPATI (S K). Studies in Conservation : A bibliometric survey. Library Science with a slant to Documentation and Information Studies. 32, 2; 1995. 75-80. SENAPATI (S K). संचार की विकास यात्रा तथा संरक्षण = Development journey of communication and preservation. Journal of Indian Museums. 51, 1995. 113-15. SENAPATI (S K). and NAGTA (P K). Preventive conservation of library materials. Herald of Library Science. 35, 3-5; 1996. 184 – 89. HALKAR (G G), SENAPATI (S K) and SALEK CHAND. Journal of family welfare: a bibliometric study. IASLIC Bulletin. 43,2; 1998. 89-94. SENAPATI (S K). Serial management: An overview. Indian Journal of Information, Library & Society. 13, 1-2;2000. 165-70. SENAPATI (S K). National / International institutions and organizations in Conservation of cultural heritage. Conference on Strategy and Methodology for Conservation of Heritage Building and Monuments in India. Central Building Research Institute, Roorkee, 4-5 April, 2002. Central Building Research Institute, Roorkee, 2002. P D7 (published on CD Rom). SENAPATI (S K). International institutions and organizations in building science and technology. IBC News. 5, 1; 2002. 22-26. GUPTA (R C) and SENAPATI (S K). Digital information systems and services at CBRI library. National Seminar on Digital Information System and Services; 20th, Patiala, 2002. Indian Association of Special Libraries and Information Centres, Calcutta. 2002. P 235-238. SENAPATI (S K). E-journals consortia: A way of success to digital libraries. Annual Convention and Conference of Society for Information Science; 21st, Roorkee, 2003. Central Library, Indian Institute of Technology, Roorkee. 2003. P 212-218. SENAPATI (S K). Maintaining a bibliographic database: A managerial approach. National Convention of CSIR Libraries and Information Centres, Lucknow, 2003. National Botanical Research Institute, Lucknow. 2003. P89-93. SENAPATI (S K) and SINGH (R D). Housing and infrastructure development in Uttranchal State: A case study of Haridwar district. Conference on Indian Habitat & Infrastructure- Need for Innovative Roorkee, 2003. Central Building Research Institute, Roorkee. 2003. TS-IV. SENAPATI (S K). Central Building Research Institute and its library. Souvenir XXIV IASLIC All India Dehradun, 2003. Survey of India, Dehradun. 2003. P4-7. SENAPATI (S K). Journal of Rock Mechanics and Tunneling Technology: A Bibliometric Study. Library Herald. 41, 4; 2003. 275-286. SENAPATI (S K) and JAGTAR SINGH. A bibliometric study of two web based journals in information science. National Seminar on Electronic Publications. Hyderabad, 2006. Centre for Information Science, Mahatma Gandhi National Institute of Research and Social Action, Hyderabad. 2006. P370-378. SENAPATI (S K). Knowledge management, library and literature. SRELS Journal of Information Management. 43, 4; 2006. 333-340. SENAPATI (S K). Public library and tourism information: A congenial approach. Library Herald. 45,2; 2007. 153-161. SENAPATI (S K) and JAGTAR SINGH. Latest trends in library & information services. All India Conference of Central Government Library Association on Recent Advances in Library Technology and Innovatives. Nagpur, 2008. Central Library, Indian Bureau of Mines, Nagpur. 2008. PP. 18-30. SENAPATI (Susanta Kumar) and JAGTAR SINGH. Latest trends in XXIII National Seminar of IASLIC on Library Profession in search of New Paradigm. Kolkata. 2008. Bose Institute & IASLIC, Kolkata. 2008. PP. 806-808. Pr. Technical Officer / Sr. Technical Officer / Library Officer in CSIR-Central Building Research Institute, Roorkee (Ministry of Science & Technology, Govt. of India) since 20th May 1998 till date. 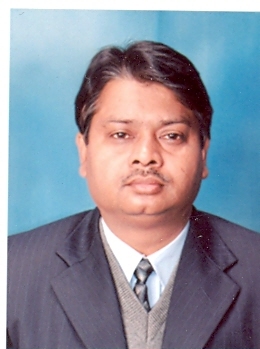 Librarian in National Institute of Health and Family Welfare (NIHFW), Delhi (Ministry of Health & Family Welfare, Govt. of India). 15th 1994 to 19th May 1998. S. Librarian in National Museum Institute of History of Art, Conservation and Museology (Deemed University), Delhi (Ministry of Culture, Govt. of India. 29th June 1994 to 14th Nov. 1994. Documentation Asstt. In National Museum, Delhi (Ministry of Culture, Govt. of India). 21st December 1990 to 28th June 1994. Librarian (III) in Delhi Public Library, Delhi (Ministry of Culture, Govt. of India), 20th July 1990 to 20th Dec. 1990. Commission Member (W102) of International Council for Research & Innovation in Building & Construction (CIB),The Netherlands.